Empire State sled dog drivers race River Oaks Golf Course. 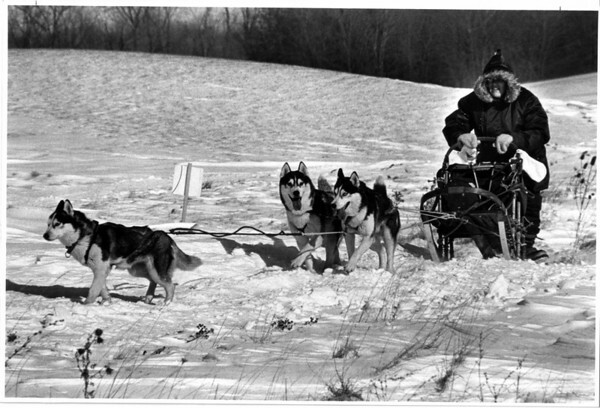 Carol Batr from Corfu, N.Y. with her three dog team of AKC Siberian Huskies on the race course. Photo - By Ron Schifferle - 1/24/1987.